As you may have heard, recent polling shows that Ben Carson is currently in 2nd place here in Iowa if the caucuses were held today. Whenever a new poll comes out, our office gets flooded with calls, emails, and Facebook messages from gun owners in Iowa wanting to know here the candidates stand – it’s no different in the case of Ben Carson. Every candidate on the GOP ticket that’s currently trekking back and forth across the state will tell you that they are 100% pro-gun. They know that in Iowa, the 2nd Amendment is a major issue and that they’ll simply not survive if they come across as anything less than staunchly pro-gun. For some of these candidates, it’s a flat out lie. As we’ve said in previous emails, some GOP candidates like NJ Gov. Chris Christie are radically opposed to the 2nd Amendment and have spent 20 years attacking gun rights in the legislature and the Governor’s mansion. Other candidates, like Lindsey Graham of South Carolina, have gone so far as to introduce “mental health” reform bills that are simply a smokescreen for allowing Americans – especially our veterans – to lose their gun rights without any due process! In Ben Carson’s case, while he’s not voted on or sponsored any legislation, he does have a history of very damning statements against your right to keep and bear arms. Don’t take my word for it, watch the video for yourself – we’ve included it for you below. According to Ben Carson, your right to own a Glock 19, or an AR15, or a Remington 1187, or even a Ruger 10/22 (these are all semi-automatics) is predicated upon the population of the town you live in! It’s as though Carson doesn’t even know that the Constitution and the 2nd Amendment even exist! Of course, Carson doesn’t specify what cities will make the cut. Gun owners in Sheldon, Sac City, or Ottumwa may be ok. But gun owners in Des Moines, Cedar Rapids, and Waterloo – forget about it! If this sounds ridiculous that’s because it IS ridiculous! Besides being unconstitutional, this is just ignorant from a policy standpoint. Everyone knows that it’s the cities that have most problems with crime – if there was ever a place where citizens needed to have access to defensive firearms to defend themselves and their loved ones it would be in places like Chicago, St. Louis or Baltimore. Cracking down on gun rights is exactly what is leading to an historic murder spree in St. Louis right now where almost 140 people have been killed so far in just 8 months! When asked by Glenn Beck who would decide what cities would be allowed to have these modern defensive firearms, Carson said that the states would be able to decide. In other words, if you’re a gun owner in California, New York, Maryland and a whole host of states up and down the East and West Coasts – you’ll basically be losing your right to keep and bear arms as those state legislatures can decide that any town with a population of 2 or more meets this silly threshold. In the time since this interview, Carson has tried to walk back these remarks and has seemed to adopt an entirely different perspective on the 2nd Amendment. Gun owners in Iowa are being asked to trust that this new perspective on the part of Carson represents his real feelings on your right to keep and bear arms. Gun rights activists like yourself may remember Senator Pat Toomey (R-PA) as the Senator who agreed to carry water for the Obama administration during the 2013 gun control battle in Washington DC. The “Manchin-Toomey” compromise represented a very real threat to our freedoms that gun owners narrowly defeated. But when running for office in 2010, Toomey had always talked a great talk on the campaign trail in Pennsylvania and gun owners there were stunned when he pulled an ‘about-face’ and became a leading voice for gun control just 2 years later. That misplaced trust in a candidate who said one thing on the election trail – but believed something totally different once safely in office – almost cost this country’s gun owners dearly. As to what Ben Carson really believes, whether he was being sincere when talking to Glenn Beck or whether he’s had a conversion and is being sincere when out on the campaign trail in Iowa now, we’ll leave that in your hands. If you can, please chip in $10 or $20 to enable Iowa Gun Owners to keep fighting for the 2nd Amendment here in Iowa! P.S. As Ben Carson continues to climb in the polls in Iowa, many of you are asking us where Carson really stands on the 2nd Amendment. Having never held office, there is no voting record to review. And as gun owners know, all the candidates will tell you that they support the 2nd Amendment here in Iowa – they are desperately looking for a leg up in this crowded GOP field. 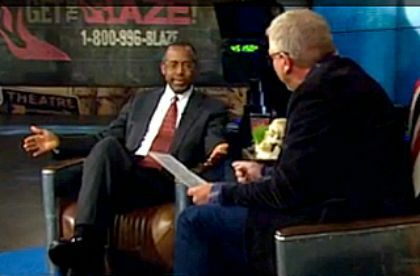 That’s why we were so alarmed when we first saw this video of Ben Carson being interviewed by Glenn Beck, in which Carson says that your right to own a simple semi-automatic handgun, rifle, or shotgun should be determined based on the population of the town in which you live. More recently, Carson has backtracked on those comments and is now claiming that he’s in favor of your gun rights. Watch the video below – and then decide for yourself if you believe Carson’s current support of your right to keep and bear arms. Help Iowa Gun Owners maintain the fight for the 2nd Amendment here in Iowa by chipping in $10 or $20 today!